Your mindset is one of the most important elements behind your level of success in life. Studies continue to show that positive thinking influences our actions, and proactivity delivers results in terms of accomplishing goals and moving beyond life’s challenges. But many still struggle in honing their mindset and in removing negative thinking from their lives. 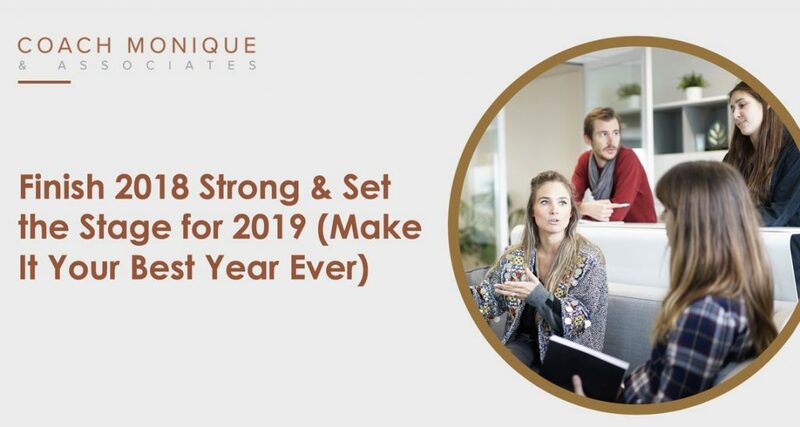 It’s the reason we’re hosting our upcoming webinar “Finish 2018 Strong & Set the Stage for 2019 (Make It Your Best Year Ever)”. As part of this webinar, I’ll go into further depth on the root causes behind failure. I’ll look at why you might not have been as successful as you wanted to be in 2018 and how you can hone your mindset to improve your results in 2019. We’ll cover the fear of rejection and the impact that this fear has on our mind as we work towards our objectives. As part of our upcoming webinar, you’ll learn how to control your thinking and to enact strategies that remove negative thoughts from your day-to-day life. These negative thoughts are one of the leading reasons behind the challenges we face and removing them can help to free us to achieve our ultimate goals as we move forward into 2019. Also, in the webinar, you’ll learn more about the powerful Delete Delete Technique, which has been shown to be one of the best ways to remove negative thoughts from the mind. It’s a technique developed to help clients remove thoughts that restrict action and allow for greater creativity and more precise problem solving. It’s the ideal way to start 2019 on the right footing. Register for our upcoming webinar now and take that initial proactive step towards success.